The Marina Park subdivision in Frisco, Colorado proves that true mountain luxury isn’t just a host to single family residences! Marina Park in Frisco boasts luxury living with suburban conveniences! This newer subdivision offers extravagant townhome-style condominiums featuring high-end appliances and modern spacious design— you instantly feel at home here. Enjoy the up-scale conveniences like granite countertops, hardwood floors, private deck, stone fireplaces, heated walkways, driveways and attached garages that Marina Park has to offer. Enjoy the beautiful clubhouse that offers a hot tub, swimming pool and fitness room for guests and residents! You can walk to everything Frisco! Located just a block off main street, owners and guests staying in Marina Park can stroll down Frisco’s Main Street to find a plethora of shops, dining stops, apres ski spots and entertaining night-life venues. 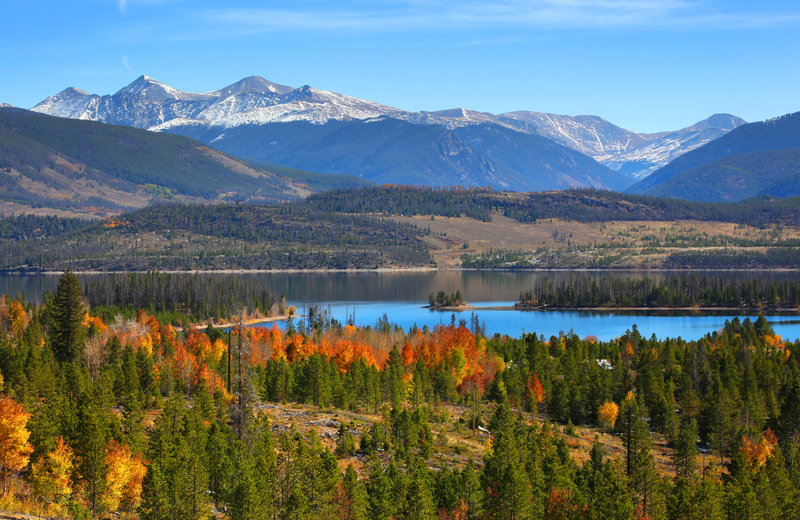 Frisco’s Main Street is the only close desirable location from Marina Park – the Frisco Marina on beautiful Lake Dillon is right across the street! Here you can access sail boats, regattas, kayaks and SUP Boards (stand-up paddle boards). Take the boat taxi over to Dillon for the day, shuttle your bikes and ride back to Frisco or cruise the lake on a rented pontoon boat! If you enjoy trail running, mountain biking, Frisbee golf, nordic skiing, snowshoeing and snow tubing, walk 5 minutes to the Frisco Adventure Park – a host to all these fun filled mountain activities. You are also an easy 10-15 minute drive to four world-class ski resorts. Breckenridge, Copper Mountain, Keystone and Arapahoe Basin are all just a short drive away. Vail, Beaver Creek and Loveland Mountain are about 20-30 minutes away. Frisco literally puts you in the heart of Summit County, making traveling between ski resorts and home base so easy and convenient—it’s no wonder it’s one of the top destinations for residents and visitors alike! Not to mention the beautiful scenery you have in every direction at Marina Park. Most properties enjoy views of several mountains including Mount Royal, Victoria, Peak One, Wichita, Little Chief and Buffalo! You can even see the two fourteeners Grey’s and Torrey’s towering in the distance. Located within town limits, homeowners in Marina Park enjoy the many town amenities. These include such as town water and sewer, cable TV, natural gas, street maintenance, snow plow services, police and fire protection and town ordinances that offer protection for the property and mountain lifestyle. Make Marina Park in Frisco your mountain residence today! If you would like more information about this luxurious subdivision, the professional team of brokers at Real Estate of the Summit will be more than happy to assist you with all your Summit County real estate needs. Call our office at 970-453-1450 or fill out the contact form below and we will get in touch with you.